I often drive with two smartphones mounted on my dashboard and it’s always a hassle. It’s especially annoying to get a phone clamped into place, then have to wrestle it free when I exit the car. And don’t get me started about trying to mount one of the new phablets, like the the iPhone 6 Plus or Samsung’s Note. 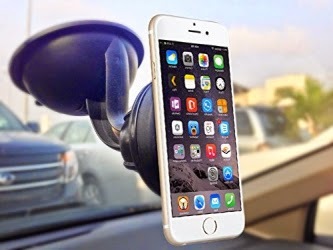 The Denotek mount clings to a car’s windshield using a heavy-duty suction cup. To hold the phone in place, you need a metallic surface on the phone. One option is a thin metallic plate that can be slipped in between the phone and its case. If you don’t use a case or if the phone has a battery pack, Denotek also provides a small adhesive disc that creates a metallic surface on the back of the phone or the battery case. Once the phone’s in place, you can put it in your preferred position and adjust it from vertical to horizontal with one hand. The Denotek phone has a list price of $49.99 but it’s currently on sale for $24.99 at Amazon. 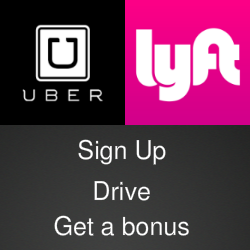 This link will get you there. See the mount in action in the video below and check out @denotek on Twitter.